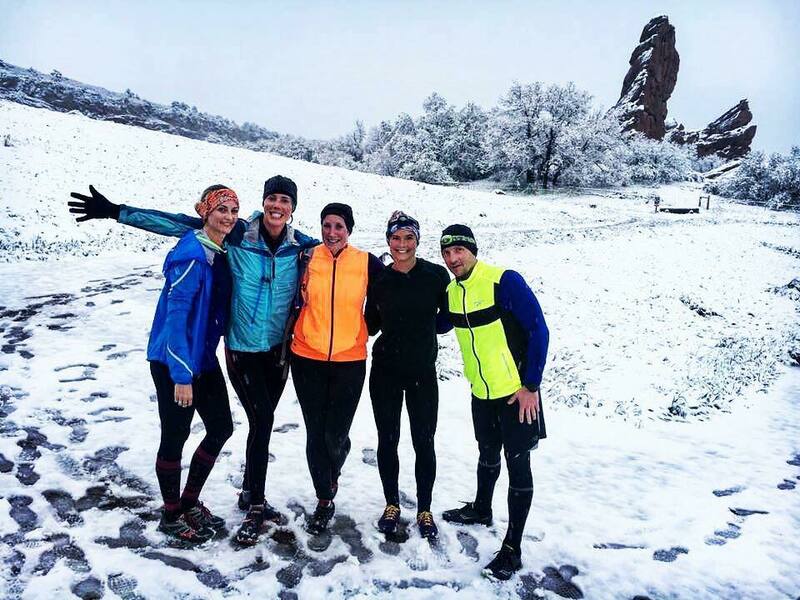 Trail Running classes are large group workout classes that utilize the Colorado trail network. Trail Running classes are 1 hour and 15 minutes, cost $20 per person as a "drop in" price, and encompass 4 to 7 miles of trail running. Trail Running classes are usually group paced but may be individually paced, so experience of trail running is a requirement to participation. Additionally a high level of fitness is required to attend these sessions. Gloves, head lamps, water (in a hydration system), should all be brought to the class. Trail Running classes require a minimum standard of fitness. Gloves and a head lamp should be worn when attending early morning or evening classes due to the class being outside.